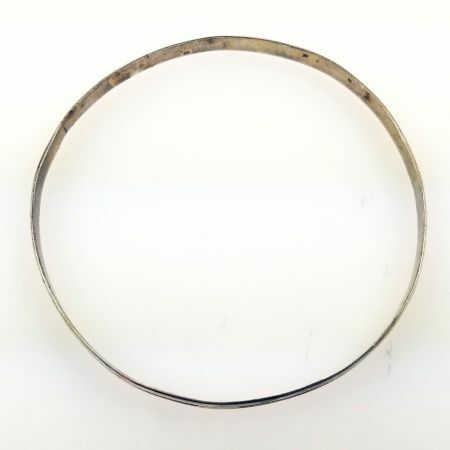 Description: A vintage double domed sterling silver wire bangle bracelet. 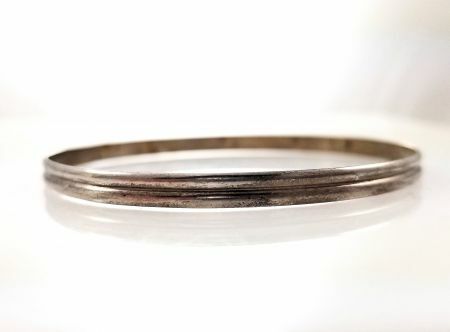 The light weight wire bracelet is 4.20mm in width by .9mm thick. 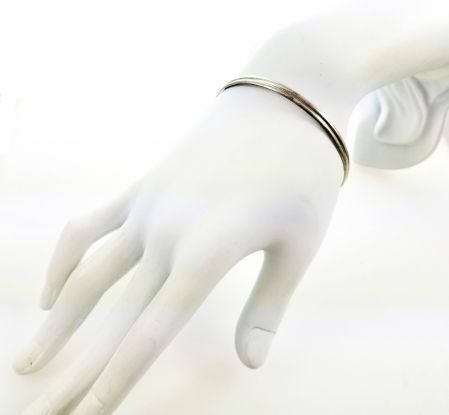 It can be worn for the minimalist look or stacked and piled on to mix with multiple bangles. 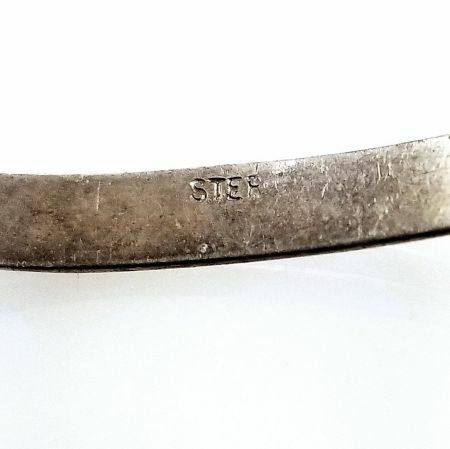 Marked Sterling and weighs 6.1 grams. Estimated to have been artisan made in the late 1900's. Measurements: The opening measures 2 1/2" in diameter and fits over a small to medium sized hand that is up to a 6 1/2" sized wrist.